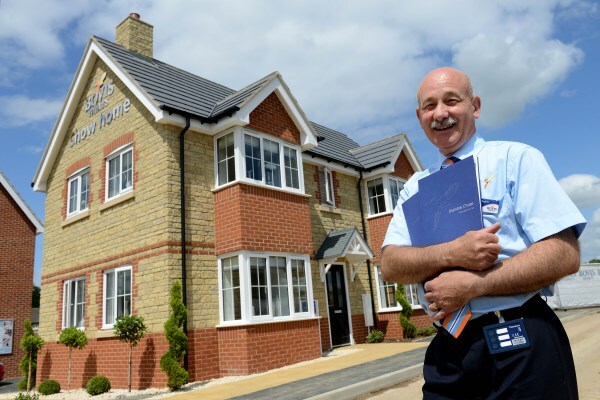 Bovis Homes has seen a rush of interest in its Bramble Chase location in the picturesque village of Honeybourne, following the launch of its highly-anticipated new show home. Worcestershire homebuyers toasted the opening of the stylish three bedroom Sheringham at the recent opening event, celebrating the opportunity to be the first to look inside the stunning home, and get a feel for the location. Julie Hartshorne, area sales manager, said: "The views of the open countryside here are stunning and we are also finding that potential buyers see the proximity of the village's railway station being key to this location. Lines to London and Evesham are just a short walk from the site." The Sheringham is a contemporary detached home with garage or parking space, priced from £274,995. This charismatic home is perfect for those in need of a little more space, or those looking to downsize, and it offers a high quality specification throughout. In particular, the bright and spacious kitchen dining area with French doors to the back garden creates a perfect extended living space. The semi-rural setting of these new homes, on the border of Warwickshire and Stratford-on-Avon, is highly sought-after, with direct rail links to London and Evesham, and a community-orientated village with great local facilities. Bramble Chase is open daily from 10am to 5pm and boasts a wide range of high quality properties of two, three, four and five bedroom homes with prices starting from £216,995 to £475,995. So please call in or ring for further details on 01386 303008. For more information on Bovis Homes visit www.bovishomes.co.uk.